All Articles Archives - Nutri Well - Nutrition, Fitness & Healthy Lifestyles! Free Delivery Orders Over £25, UK Only. Manufactured In Our Own Facility In The UK. Founded By British Nutritional Scientists. Fast And Reliable Customer Service. 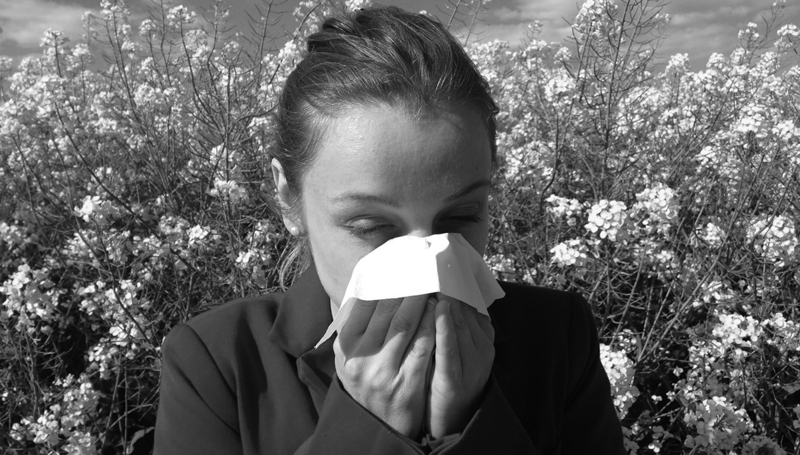 Airborne allergens, such as pollen, dander and dust mites, affect a large number of people and can lead to hay fever symptoms. These symptoms can be uncomfortable and distressing and for those of us looking for natural alternatives to medication, probiotics might form part of the solution. There is increasing evidence that these friendly bacteria (probiotics) may help in preventing and alleviating allergic conditions. Whilst some foods, such as live yoghurt, kefir and sauerkraut contain high levels of friendly gut bacteria, these foods do not appear in abundance in today’s diet and taking probiotics in supplement form may be the best option for achieving the required balance of bacteria in our gut. How Can Probiotics Help Hay Fever? Friendly bacteria can help to modify the balance of bacteria in the gut and help to boost the immune system. They can also help by increasing the levels of an antibody (secretory IgA), which lines the respiratory and gastro-intestinal tracts and helps to reduce the effect of allergens. Much of the research relating to probiotics and the prevention and reduction of symptoms of allergy has been done with children. 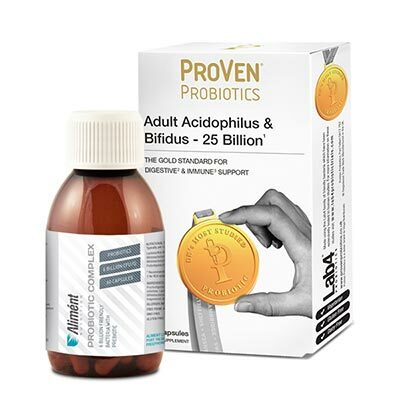 The Lab4 group of probiotics found in the ProVen Probiotics products has been shown to help in the prevention of allergy, when given to babies during the last trimester of pregnancy and the first six months of infancy. In a study involving 454 mother-baby pairs, the babies who received the Lab4 friendly bacteria were 50% less likely to develop allergies by two year of age than the babies who did not receive the probiotics . This entry was posted in All Articles on 18th April 2019 by Cellan. CBD oil seems to be the ‘buzz’ at the moment, everyone seems to be trying it! With so many suggested benefits which you can find on the internet, I can see why. CBD stands for Cannabidiol, and the oil is usually made up from hemp seeds and hemp extract. The hemp seed oil comes from the pressing of the seeds of the plant as the name would suggest, and the extract comes from the leaves and stalks of the plant itself. Cannabidiol (CBD) is extracted from the cannabis plant, specifically the hemp strain. With no psychoactive or addictive effects, it is perfectly legal and safe to take. It is believed CBD oil acts on the endocannabinoid system in our bodies, and much of the current buzz surrounding scientific research on CBD focuses on the benefits this non-intoxicating compound can have on our wellbeing. You may have read that CBD’s status as a food supplement has changed, however, CBD oil is still legal and safe to consume. It is important when choosing which CBD oil to purchase, that you buy one which comes from EU approved supply, and that it complies with the European standards for THC content, pesticide use, and Heavy metals. What's The Best Way to Take CBD Oil? The great thing about CBD oil is that is it suitable for vegetarians and vegans as it comes directly from the plant. This ensures that the oil is absorbed quickly and effectively into your bloodstream maximising the benefits. 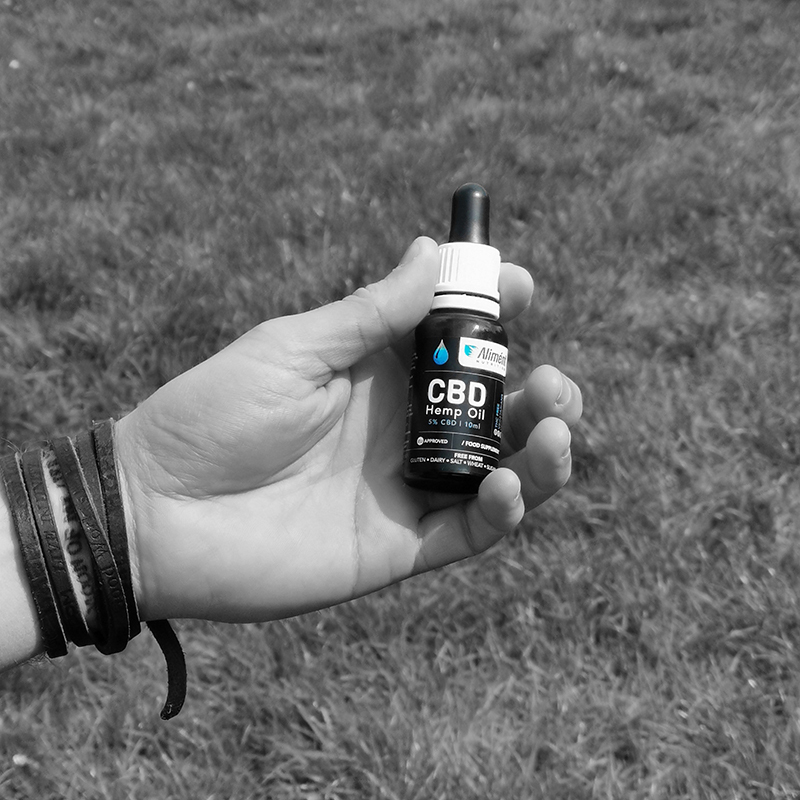 If you are new to CBD Oil, it is advisable to start with a low dose and to build up your intake gradually over a few weeks, until you find the dosage that best suits your needs. For best results CBD Oil is taken sublingually (under your tongue). 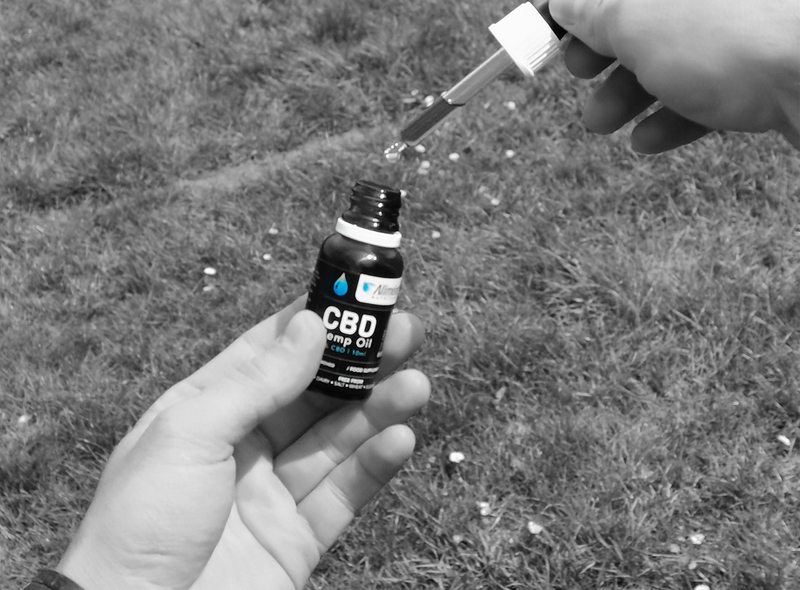 We have recently been hearing feedback from lots of different people who have tried CBD oil for reasons such as pain relief, in muscle recovery to helping with their anxiety. Studies have shown that CBD may help reduce chronic pain by impacting endocannabinoid receptor activity, reducing inflammation and interacting with neurotransmitters . We all react differently to nutritional supplements. If you are new to CBD, it’s important to start low and slow with your dosage and build it up slowly over time if needed. If you’re taking any prescribed medication, as with any nutritional supplement please consult your doctor before use. 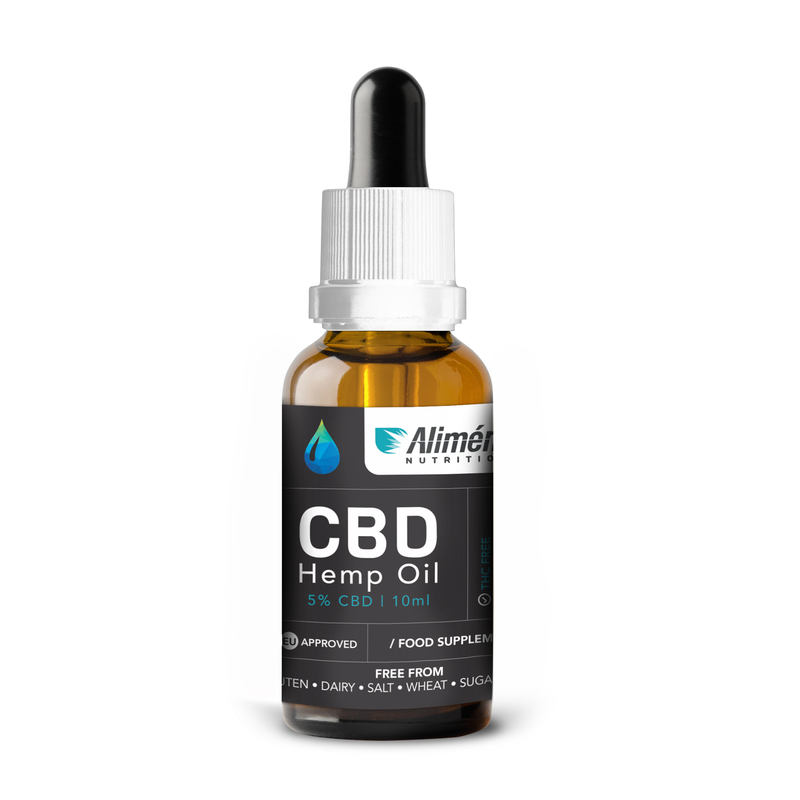 Aliment CBD Oil is “Grown from Certified EU seeds, according to regulation (EC) no 112212009 with Commission Implementing Regulation (EU) no 393/2013, Council directive 20021571EC and Article 39 (1) of regulation (EC) no 7312009”. The Aliment/PRP oil is certified by a Eurpean ISO laboratory. It is confirmed to have non-detectable levels of total THC; approved for pesticides and contaminants in accordance to the council regulation (EC) No396/2005 and No 839/2008, (EC) No 1881/2006 and (EU) 165/2010; and conforms to the heavy metal regulation in accordance to Council regulation (EC) No 1881/2006 (EC) No 835/2011. We are fortunate to operate in a heavily regulated industry with no room for misleading promises. As a responsible company we cannot make health claims for CBD oil. However, we do encourage you to research this ingredient for yourself, with plenty of resources online explaining CBD’s huge popularity. Front Pharmacol. 2017; 8: 391. Eur J Pharmacol. 2007 Feb 5;556(1-3):75-83. Epub 2006 Nov 10. The non-psychoactive cannabis constituent cannabidiol is an orally effective therapeutic agent in rat chronic inflammatory and neuropathic pain. Costa B1, Trovato AE, Comelli F, Giagnoni G, Colleoni M.
Many of us have heard about baby brain, and some have experienced it! But why and how does it happen? When a baby is born, it has a much larger head compared to body. In fact the brain to body ratio in a human is a couple of hundred times greater than some large mammals. The most important brain building nutrient for the developing brain is DHA. A baby's brain is made up of 11% DHA. DHA is fundamental for the structure and function of the brain and eyes, making up 97% of the omega 3’s in the brain. 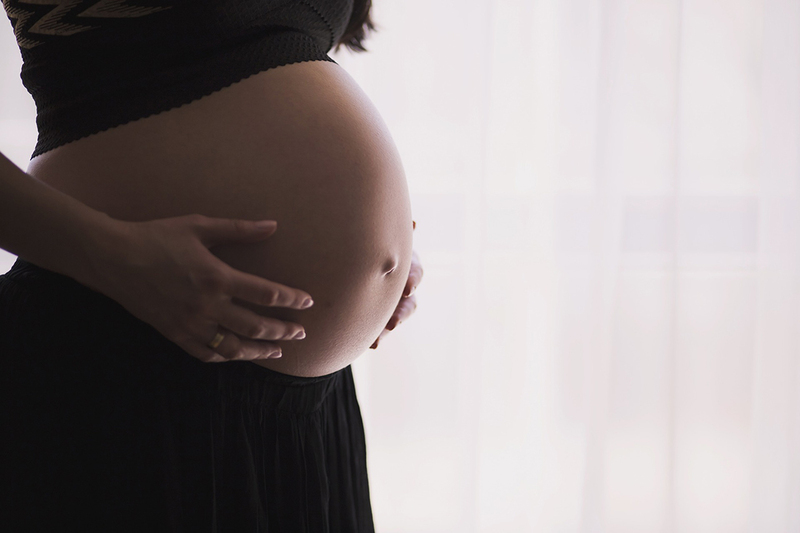 It is now recognised that if the pregnant mum does not have enough EPA/DHA, then the brain size of the mum will actually shrink during pregnancy because the foetus will take what it needs to develop and nourish its own. This means that this could be the reason that women often report feeling forgetful (baby brain). The general consensus therefore is that fish oil is extremely important in pregnancy, not just for the developing baby, but also for the mum. However, the method of getting enough high quality fish oil is also important. Most pregnant women are generally advised to eat 2 portions of oil fish per week during pregnancy. This may be difficult for so many reasons, and there is also the concern of the source of the fish being eaten. Where was it caught? Is it wild or farmed? Has it been screened for heavy metals? Another consideration is the type of fish the EPA/DHA is coming from. For example, you may typically eat tuna as one of your portions of oil fish per week. Tuna could on average have 10 times the amount of heavy metals than smaller fish such as sardines and mackerel and even Salmon. Whereas a good quality supplement would get its oil from sardine and anchovy, which typically contain much lower levels of contaminants. So whereas these factors would be important for anybody eating fish, whilst being pregnant, this may make these factors even more crucial. 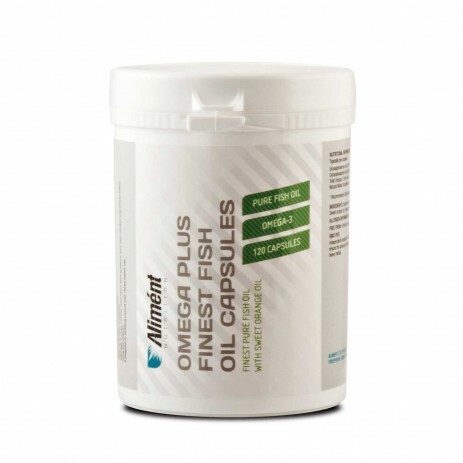 Good quality fish oil supplements (NOT Cod Liver Oil) will not only provide good levels of DHA/EPA, but they will also provide the re-assurance that they have been tested to ensure the absence of heavy metals such as Mercury, and other contaminants. So doesn’t it make sense to take a high quality fish oil supplement so you know exactly what you are putting into your body, from a nutrient level point of view, and also from a purity point of view. This entry was posted in All Articles on 4th April 2019 by Charlotte Crockett. 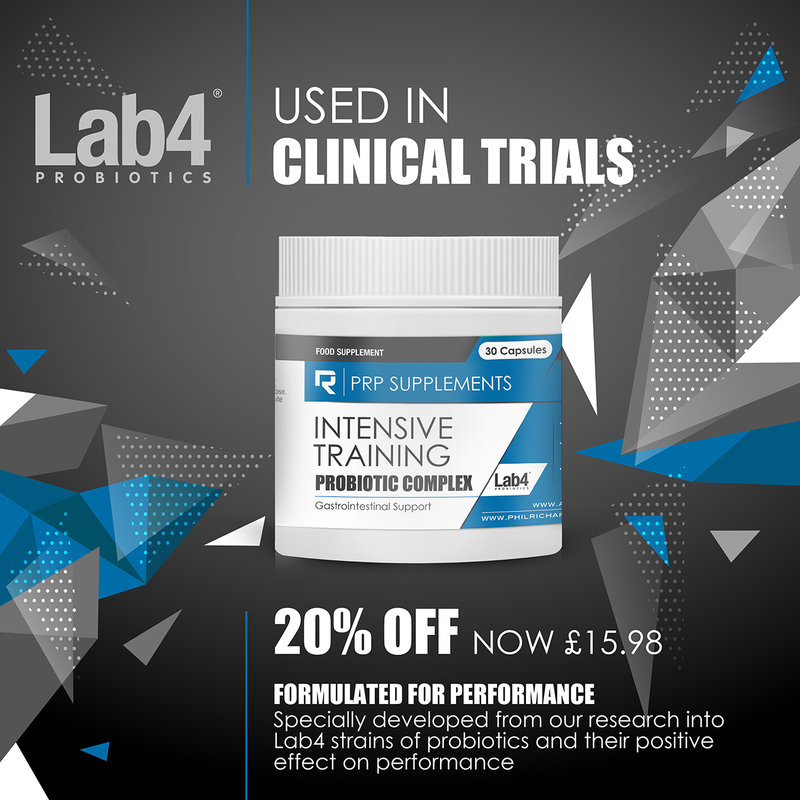 Over the last two years, the LAB4 Probiotic strains have been used in two studies that have looked at their effect in endurance athletes. The first looked at whether probiotics could help increase the amount of carbohydrate used during exercise. Many people will take on gels and sports drinks during endurance exercise. This can accumulate in the gut and lead to gut discomfort. This study showed that in cyclists consuming a carbohydrate sports drink, probiotic supplementation increased their ability to use the carbohydrate drink. In the second study, recreational runners supplemented with probiotics (or placebo) for 28 days before completing a marathon race. the probiotic saw reductions in gut symptoms during the weeks leading up to the race. They also reported less severe symptoms such as bloating and the urge to go to the toilet, during the marathon itself. This, in turn, saw that, compared to placebo, the probiotic group were able to maintain their speed at the end of the race, while the placebo tended to slow down. 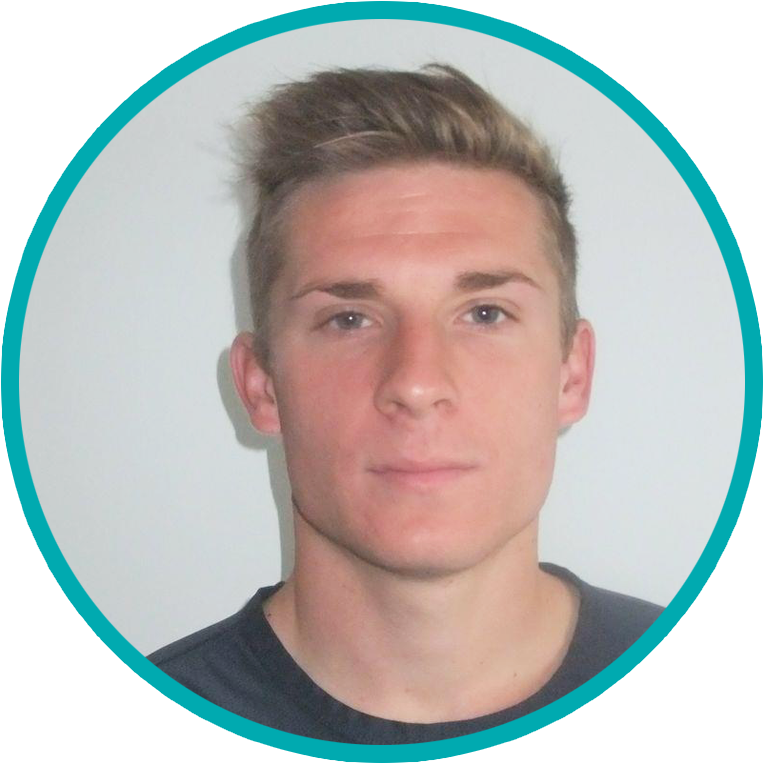 Jamie starts PhD journey at Liverpool John Moores University, supervised by Graeme Close (performance nutritionist for England Rugby). Looking at the effects of high-intensity running and markers of gut damage, compared to at rest. Results from this study showed that while high intensity running lead to increases in some of these markers, they quickly returned to baseline values and were not related to any gut symptoms such as bloating or the urge to go the the toilet. Teaching Sports Nutrition on undergraduate and postgraduate programmes. Work begins on a study to investigate the effect of glutamine on gut damage during running in the heat. 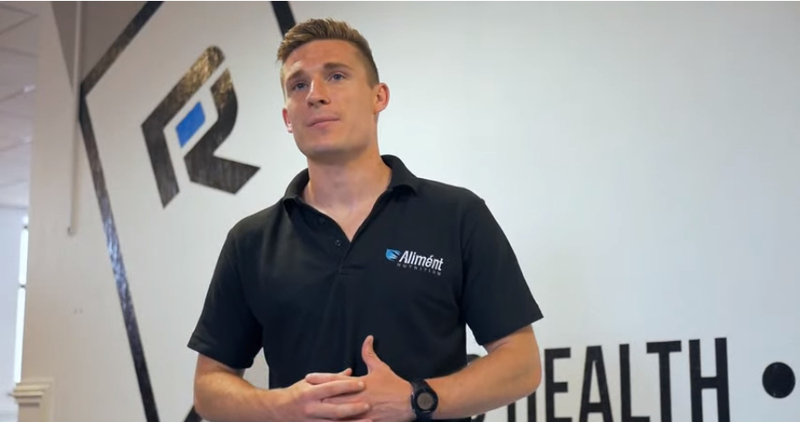 The results showed that consuming glutamine two hours before a one hour run in the heat reduced the amount of damage to the gastrointestinal tract. There appeared to be a dose-response effect, but doses of around 10-15 grams were still effective. This study was later published in the European Journal of Applied Physiology. March 2016 - First Article Published in the United Kingdom Strength and Conditioning Association journal. 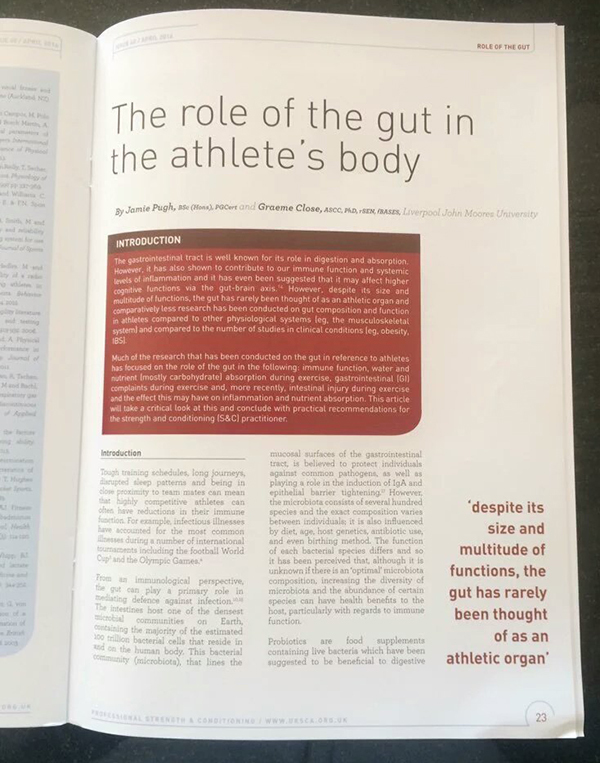 In this article Jamie discussed the current state of information in regards to the gut in elite athletes and future directions for research. Assisting on BBC’s The Truth About Healthy Eating, Jamie helped a small study that looked at the effects of different breakfasts. The results? Breakfasts higher in protein, and lower in sugar content lead to lower feelings of hunger and increased satiety - you were more likely to get through to lunch-time without wanting something else to eat. Working in collaboration with Edge Hill University to look at the food choices of Ultramarathon runners during a race. The results of the study are still being written up, but the general trend saw Ultra runners start by eating sweet foods but, as the race progressed, they tended to select savoury choices like pretzels and potatoes. 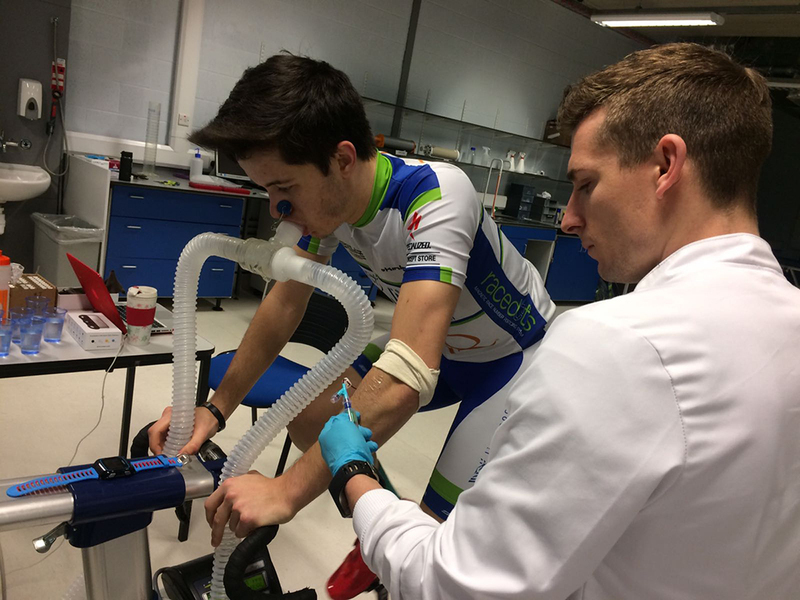 Work starts on study looking at the effects of probiotics on exercise metabolism. 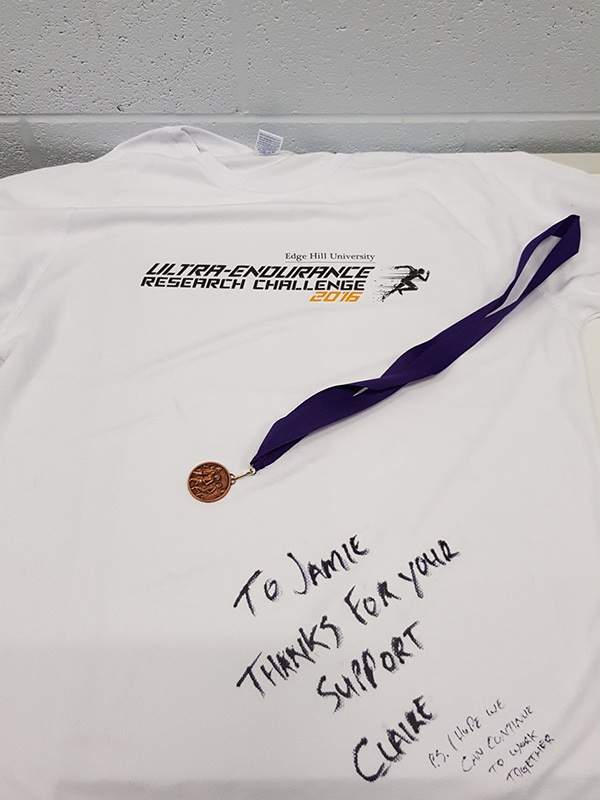 Jamie has since presented this work at two major international scientific conferences and has shown that probiotic supplementation increases your ability to use carbohydrate that you consume during exercise. 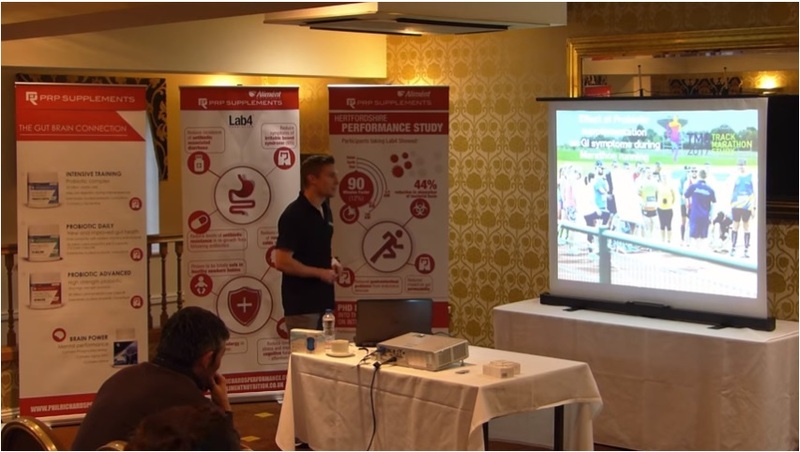 Jamie attended Liverpool Rock'n'Roll marathon to talk about how sports science can help people run a faster marathon. 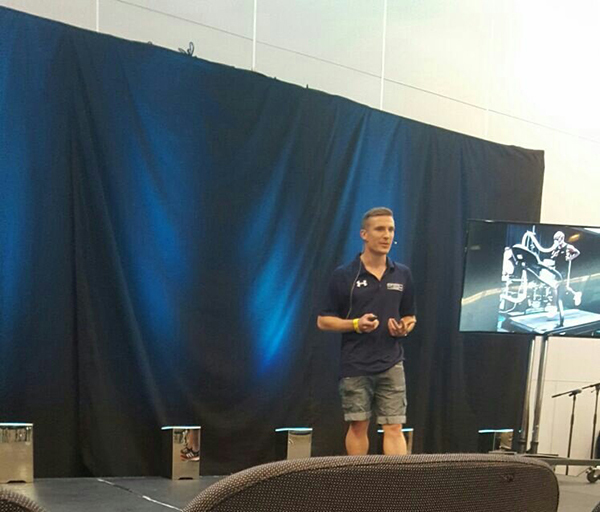 Discussing in race nutrition, caffeine, pacing, drafting and even shoe types. 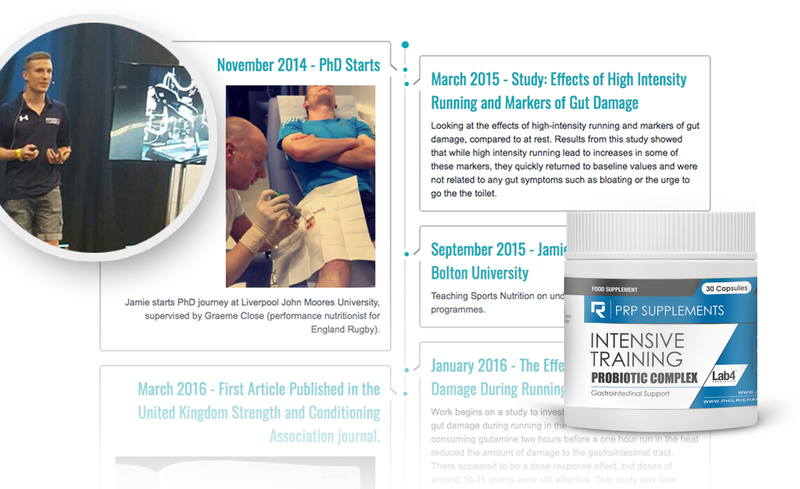 During this final PhD study, Jamie looked at the effects of probiotic supplementation on gut symptoms in marathon runners. 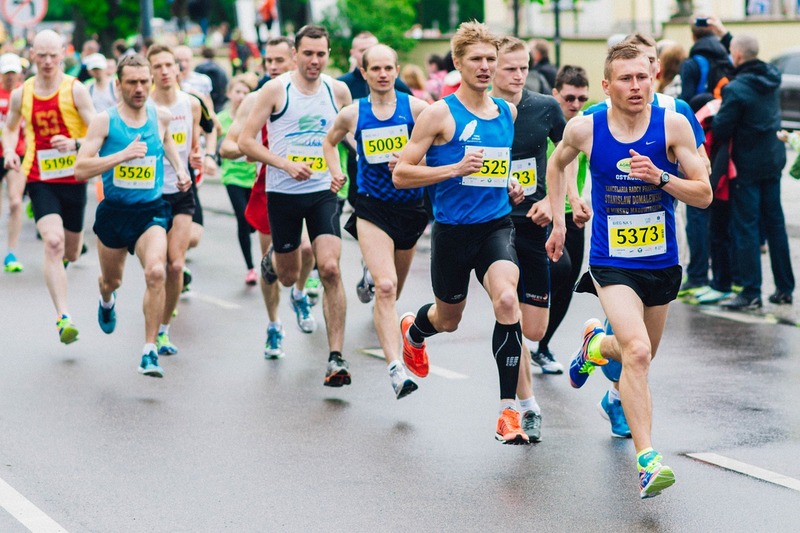 The results have not yet been published, but those in the probiotic group suffered less severe symptoms during training and during the marathon. 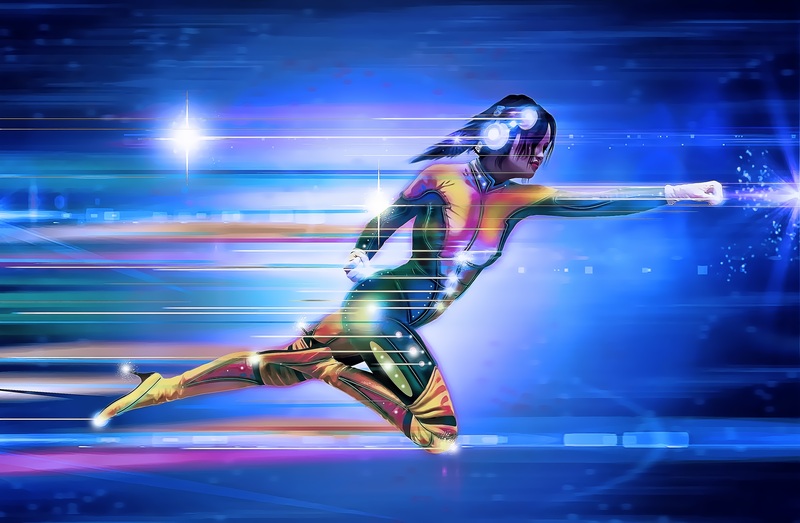 This also showed for the first time that probiotics could improve endurance performance as those in the probiotic group slowed down less at the end of the race, compared to the placebo group. 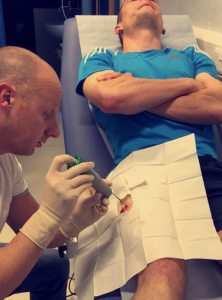 The article highlights the prevalence of gastrointestinal symptoms in elite athletes. There is a significant of number of symptoms reported that could affect performance and symptoms that could affect the overall quality of life. The effects of glutamine on markers of gut damage during exercise in the heat. This study showed that a single dose of around 10-15 g of glutamine, 2 hours before exercise, can reduce the measures of gut damage. While this might be higher than typical daily doses, it could be a strategy to consider for anyone participating in a big endurance event, particularly in the summer months. The hard work is over (for now). PhD thesis submitted. Jamie Pugh becomes Dr Jamie Pugh after defending his PhD in his viva voce. 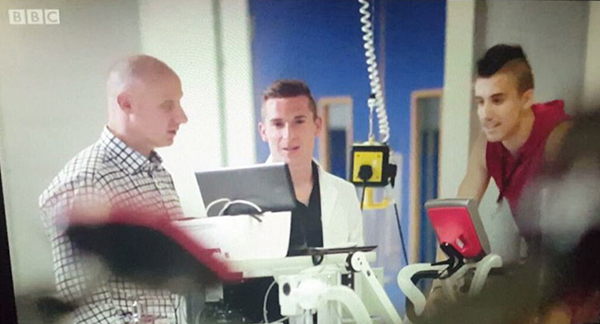 He is examined by World renowned scientists Dr Neil Chester and Professor Neil Walsh. This entry was posted in All Articles on 11th March 2019 by Aliment. This entry was posted in All Articles on 14th February 2019 by Jamie Pugh. Gastrointestinal symptoms have long been known to be a common occurrence in endurance sports. “Runner’s trots” is something most runners will be all too familiar with, while other symptoms including bloating, nausea, stomach cramps, and vomiting are also regularly reported. Symptoms occur for a number of reasons including; the up-and-down jostling from running, a reduction in blood flow to the gut during exercise, and, during races, an increase in stress hormones that can speed up gut motility and transit. This entry was posted in All Articles on 25th July 2018 by Jamie Pugh. As soon as you have finished training, it is time to recover. 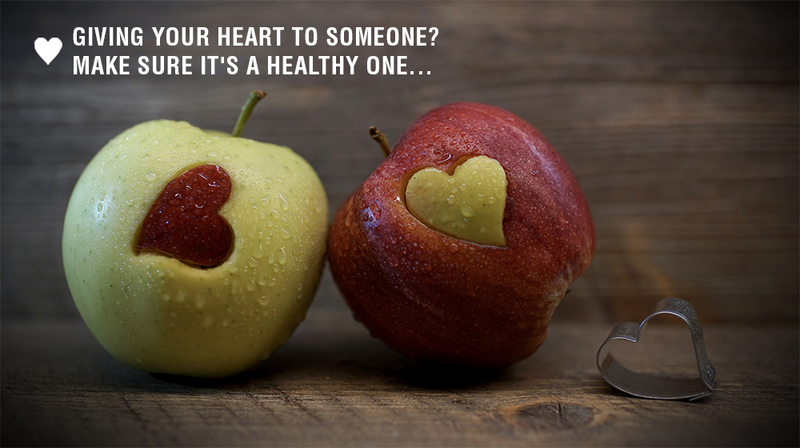 When it comes to nutrition, this is something that people get confused about, or often overlook. In general, there are three components of recovery that you need to know. You need to give the muscles protein because it’s the protein that helps the remodeling and adaptation of the muscle fibre. You need to replace the fluids that have been lost from the session. Then, finally, depending on the intensity of the training session, you need to replace carbohydrate stores that you use. It is during our recovery that the muscle fibre characteristics will change, making us fitter, faster, or stronger. All depending on the training stress we place upon it. If we ensure that we REPAIR with protein, REHYDRATE with fluid, and REPLACE carbohydrate, will be making sure that not only are we maximizing our adaptation, we are also going to ready to train again during our next session. This entry was posted in All Articles on 20th June 2018 by Jamie Pugh. This entry was posted in All Articles on 25th April 2018 by Jamie Pugh. This entry was posted in All Articles on 21st February 2018 by Jamie Pugh. CoQ10 – The Energy Factory! A lot of research has been taken into the health benefits of Coenzyme Q10 or CoQ10 as it is commonly known as. There are clinical trials investigating its value for a number of health problems. This entry was posted in All Articles, Antioxidants, Healthy Living, Exercise and Sport and tagged antioxidants, coQ10, ubiquinone, ubiquitous, chewable on 17th May 2017 by Charlotte Crockett.